By Héctor García and Francesc Miralles (2016-Penguin Books). When I saw this book in the bookstore (I still try and do that when and where I can), I was eager to learn more. This book was born in curiosity. The co-authors are two writers, one lives in Japan and the other in Spain, who wondered what is behind the superior longevity of the Japanese, notably residents of Okinawa. They embarked on a research inquiry focused on the village of Ogimi, which has the highest longevity on the planet, to uncover the drivers and unlock practices and behaviors that could be useful for all of us. What they found is a compilation of practices that nurture the art of living. It’s less about specific tips. None of them by themselves will be earth-shattering to you. It’s more about an overall approach that’s quite different from some of ours in the West, especially around how we view and use time. The foundational elements of this approach are meaning and purpose, which often need to be redefined at different stages of life. Having a clear sense of meaning and purpose in life, especially post-career, can then be the catalyst for an active life at this stage. With purpose, activity contributes and adds value to others. Without purpose, activity is hollow and just busyness. A clear sense of renewed purpose is often the missing link that’s ignored in the transition to retirement. Ikigai is a way to discover what your unique purpose is and what offers meaning to you at this point in life. In addition to purpose, the authors explain the other key practices and habits that emerged their interviews with centenarians, including a number who were over 110. They include eating less (living by an 80% rule, stopping ahead of feeling full); movement throughout the day; friendship; being present in the moment, adopting and displaying a positive attitude and reconnecting with nature. Finally, they describe the Japanese practice on Naikan, a form of gratitude that encourages taking a moment to appreciate the contributions unknown others have made to things that we generally take for granted, such as what goes into the meals we eat and the clothing we wear. None of the recommended practices are financial in nature. All relate to the art of living and how you choose to invest your time. All are doable. The power does not lie in any one of the specific practices individually, it’s in adopting a holistic approach. The recommendations in this book cover the mental, physical, social and spiritual aspects of life. Discovering, rediscovering or clarifying your purpose is a very valuable endeavor. If you’re transitioning away from your corporate career, or you’ve already retired and want more, this book can give you a straightforward, yet highly beneficial roadmap of healthy practices. At this time of year, New Year’s resolutions can already be a distant memory. Spring offers opportunities for new beginnings. 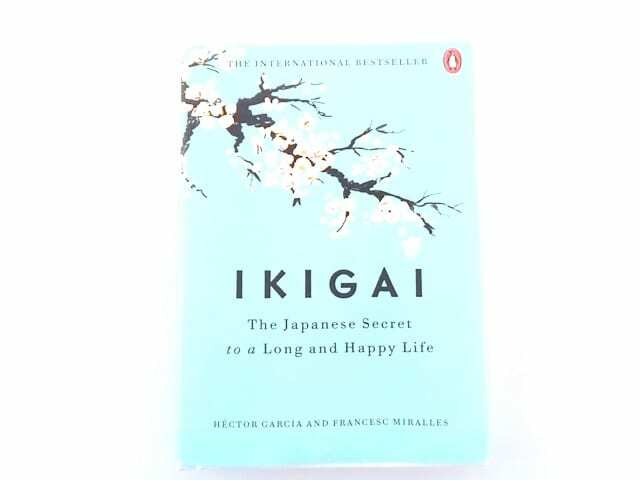 Why not consider Ikigai as a way to cultivate a healthier lifestyle? There is so much evidence that purpose beyond self, often reflected in community involvement, is essential to happiness, health, and longevity. Isolation and loneliness are the enemies in old age, not the years. Our personal trifecta of goals reflects this. Aging with Freedom is all about High Wealth, High Health, High Purpose. And that high wealth goal is not a fixed number but enough to exercise choice in where and how to live for health and purpose.